Its no secret that the Boston real estate market is booming – particularly in the new construction sector. Here are seven projects to keep an eye on! This towering condominium is slated to reach 690 feet, chock full of 422 luxury condos. It will be the tallest residential building in Boston and will more than likely spawn the priciest home deals in the city’s history. Another benefit of this condo is the transformative effect its presence will bring to the Downtown Crossing neighborhood. 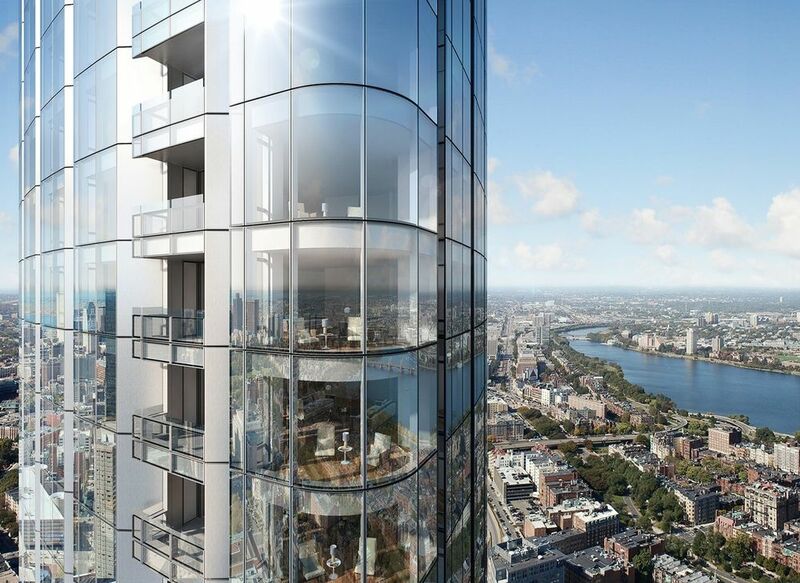 The 61-story, 699-foot tower has been under construction in the affluent Back Bay for around 12 months. It will overtake Millennium Tower by the end of 2017 for the tallest-residential building crown. 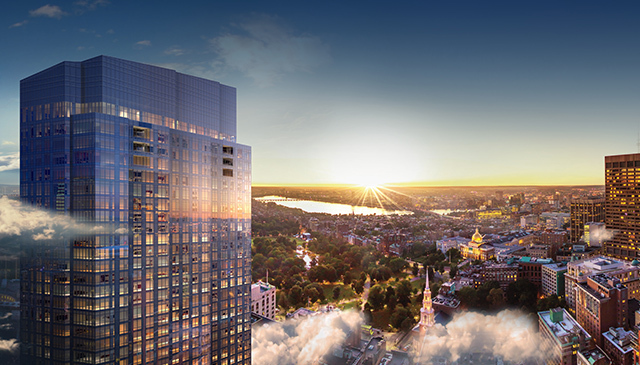 Designed by Pei Cobb Freed, One Dalton is slated to become the tallest tower constructed in Boston in nearly 40 years. Featuring 180 luxury condos, plus a Four Season hotel, this building will be on the pricey side. 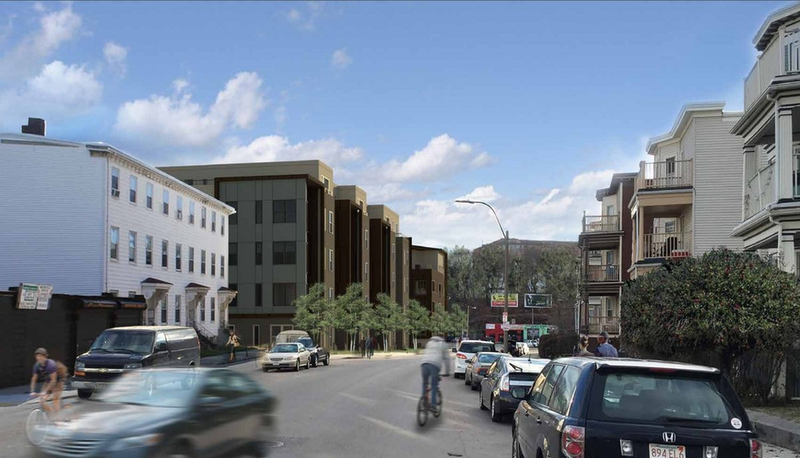 This project is located in Southie’s Andrew Square area and will span a collective 894,600 square feet. The village will include 656 residential units tailored for the “non-luxury” buyer and tenant. It will also include 98,600 square feet of retail including a grocery store; 560 parking spaces and 42,500 square feet of open space in addition to new streets, walkways and plazas. Developers first proposed plans for the village in spring of 2015. Approval could come this year but the actual project won’t be finished until around 2021. The Viola plans for an 11-story, S-shaped building at the intersection of Massachusetts Avenue and Boylston Street in western Back Bay. MassDOT, the site’s owner, approved the proposal from a Florida-based developer with hopes to begin construction in 2019. This building will encompass the Hynes Convention Center Green Line stop, with rent for the developer going toward improvements for the station. 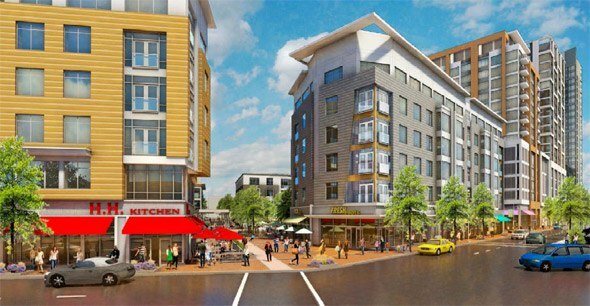 This multi-building development will be located at the convergence of Meeting House Hill, Jones Hill, and Savin Hill in Dorchester (pending approval from the city in the spring). The proposal calls for eight four-story residential buildings with eight units each; a five story, 50-unit residential building and several more five to six story buildings with residences and retail. All together, we’re looking at around 450 apartments in addition to 72,000 square feet of retail. 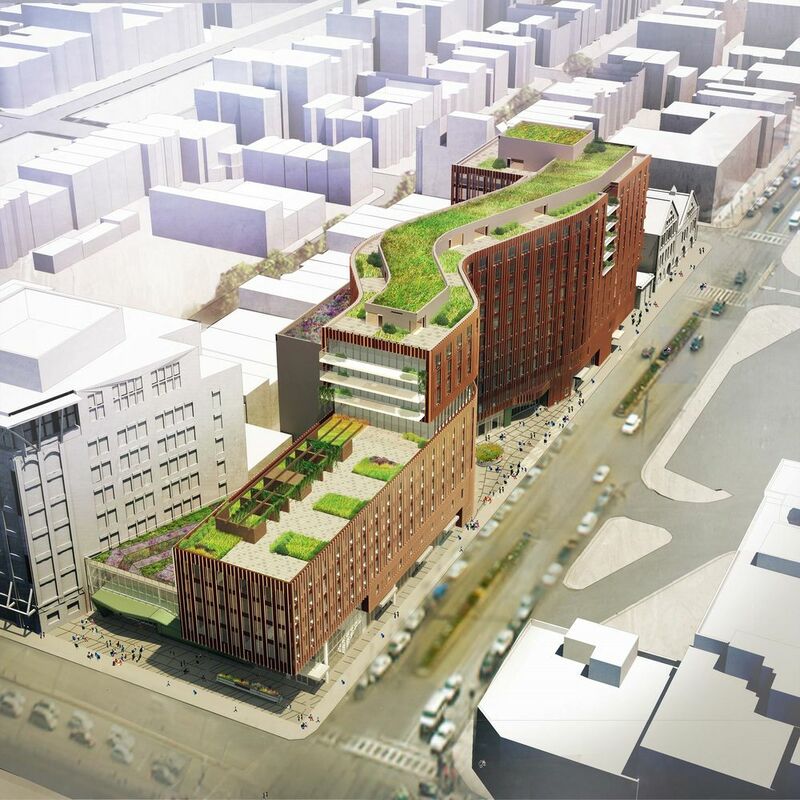 This enormous project for the old Boston Garden site along Causeway Street in the West End/North End borderlands officially broke ground in late January. 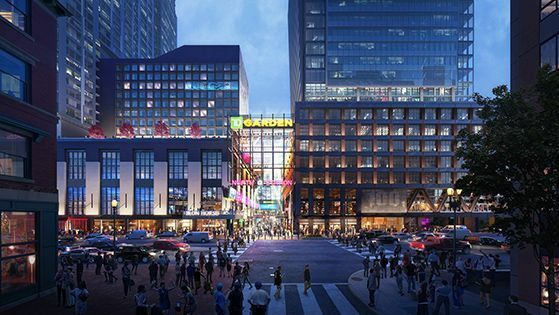 Ultimately the development will house over 1.5 million square feet of shops, restaurants, offices hotel rooms and residences as well as an expansion of TD Garden and transit improvements for North Station. Phase 1 should wrap in 2015. 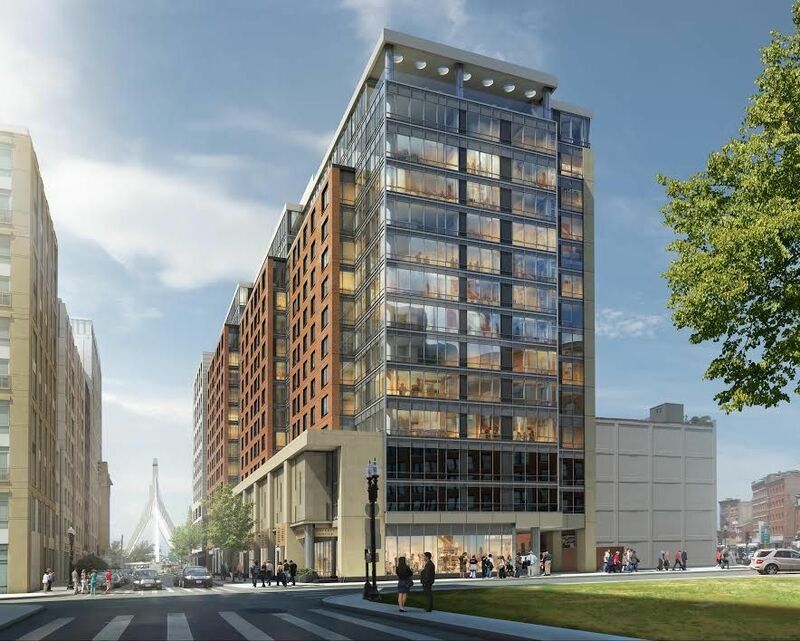 This Bulfinch Triangle development near TD Garden is due to include 239 units aimed at those not in the market for a $3,000 studio. Devloper Related Beal calls its effort “the largest new construction of affordable and workforce housing downtown Boston in more than a quarter century.” The units will be reserved for tenants making from 30 percent to 165 percent of the areas median income. That and 10 percent of the units are due to be 3-BRs targeted to families. Related Beal expects to wrap in 2018. View the latest Boston listings, here.